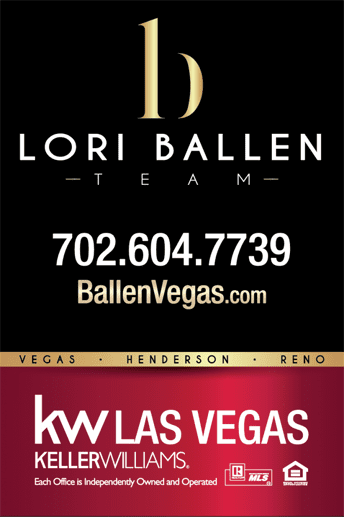 If you live, work or visit Las Vegas Area, from your Henderson Home, to the Strip to Fremont Street, you can now use either of the country’s two top ride-hailing services, Uber and Lyft, for transportation. Both services are powered by the company’s own app that pairs people in need of a ride with vetted, local drivers at the tap of a button. At the completion of the ride, the payment is made automatically through the app, making the presence of cash and credit cards unnecessary. Like New York and Chicago, Las Vegas is a city of taxi cabs. But 2016 has been the ride-hailing companies now that they are allowed to operate in the city, and at McCarran International Airport. Not surprisingly, the cab drivers of Las Vegas unanimously hate both ride-hailing services. Lucky for the cabbies though, they still get preferential treatment at Las Vegas venues and at the airport with front-of-door pickup queues. Newcomers, Lyft and Uber, rely on creative alternative arrangements for their pickups, which will be explained later. Which service has the most accurate mapping technology? Using either Lyft or Uber in Las Vegas is just about as easy as downloading the app, request a ride with the touch of a button, and paying without cash or card. Reserve your pick-up or drop-off by following a couple of prompts. Choose the type of vehicle you will need for your trip and hit the Request a Ride button. You may estimate the cost of the ride beforehand using the app. Uber riders getting picked up from McCarran Airport have a dedicated pick-up spot in each terminal. The options available include uberX, and uberXL, or UberSUV for larger parties or luggage-heavy hauls. Download the Lyft app to your phone or tablet and register your credit card or Visa debit card for payments. Enter a pickup and drop-off location to estimate the price of your trip. With Lyft and Lyft Plus, you have the option of making multiple stops per ride (fantastic for sight-seeing, or doing errands). Lyft also has dedicated pick-up spots at McCarran Airport and offers either a sedan or SUVs at the riders request. Standard Lyft sedan rides start at $1.50 and cost $0.93 for each mile, plus $0.15 for each minute. The minimum fare is $5.00, and the maximum fare is $450. A canceled ride will cost the rider a penalty of $5.00. To entice new riders, Lyft has been sending Las Vegas customers a 50% off special, good for rides Monday to Friday 5am-5pm, and 10 $5-off rides for all first-time users. UberX is Uber’s service that compares closest to Lyft. It has a base fare of $1.50, a per-minute cost of $0.15, a per-mile cost of $0.90 and a minimum fare of $6.50. The cancellation fee for an UberX is $5.00. The biggest difference between pricing is not the base price, but in that Lyft does not surge their prices to the same degree that Uber does during high-demand times. 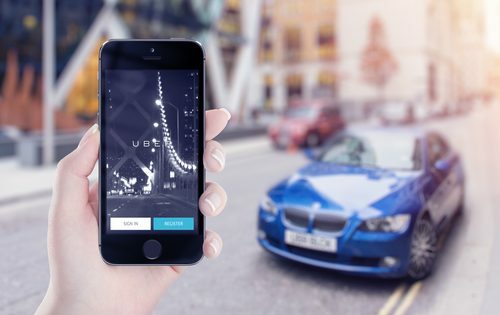 While Uber will increase their usual fare rate by up to five times in periods of high demand, Lyft’s only goes as high as twice the regular rate. Uber calls this measure “surge pricing, ” and Lyft calls it “primetime,” respectively. Lyft gives their drivers an exact GPS location where a pin is dropped, just like when an iPhone user drops a pin in the Apple Maps app. That is because the driver uses Apple Maps, Google Maps, and Waze to navigate their way to the customer. Good thing both Google and Apple maps are nearly flawless, especially in high-traffic destinations such as Las Vegas. Waze is only used to choose the most optimal, traffic-free, route. Once the driver has determined they are in the optimal pick-up position, the rider is notified manually that the car is waiting. Uber drivers in Las Vegas, on the other hand, are forced to use the company’s in-app map. Drivers also see a pin but cannot zoom in close enough to glean an exact address. 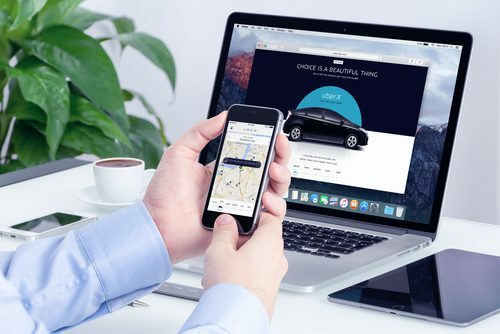 The app also announces the driver’s arrival automatically, sometimes even before the driver can determine the door from which their rider will emerge. That last part causes some hiccups for drivers that are not completely confident in the precise pickup location (the difference between the North entrance of a building and the West entrance, for example) before the riders are notified of their arrival. Sadly, the preferential treatment toward cabs allows them to drive right up to the front doors of just about any Las Vegas hotel or venue, while Lyft and Uber drivers must make alternative arrangements with their riders. 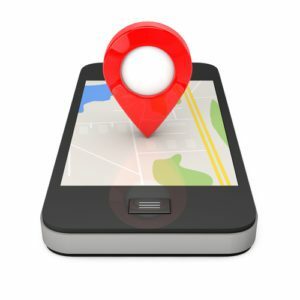 From your Las Vegas location, when you type in your destination to these companies’ apps, you receive specific instructions on where you will be picked up, usually at a place outside of your location. This alternative pickup method is not seen in most other cities serviced by Lyft and Uber, but only really affects the tourist-heavy areas of Las Vegas. Residents won’t receive alternative pickup instructions when they call either service to their home. For cheap and accurate service you can’t beat Lyft and Uber in Las Vegas and you don’t even have to choose one over the other. Many drivers drive for the two services at the same time, and customers follow suit by using them intermittently, or as the situation dictates.